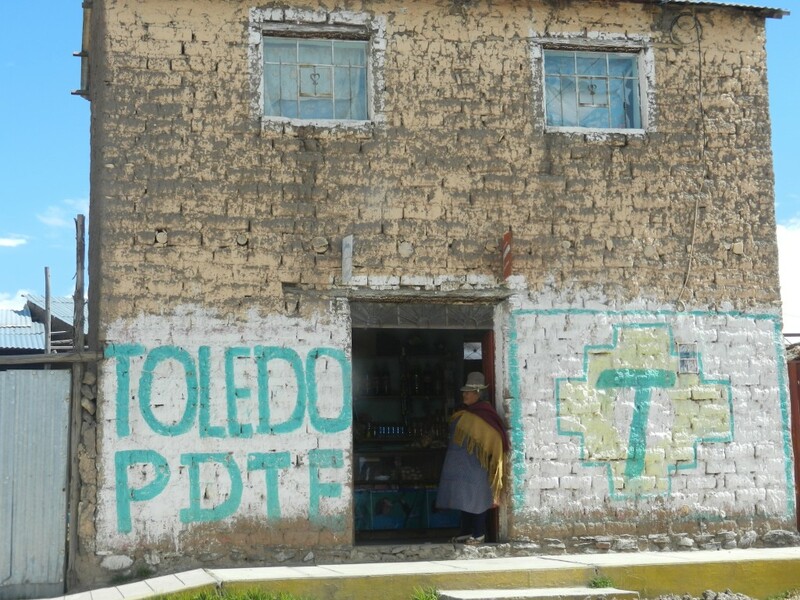 We were up at the crack of dawn this morning and off to the airport to fly to Juliaca, the nearest airport to the town of Puno which in turn sits on the shores of Lake Titicaca. Amazingly, we ran into a teacher from the boys’ school at the airport – truly the world can be a a small place. 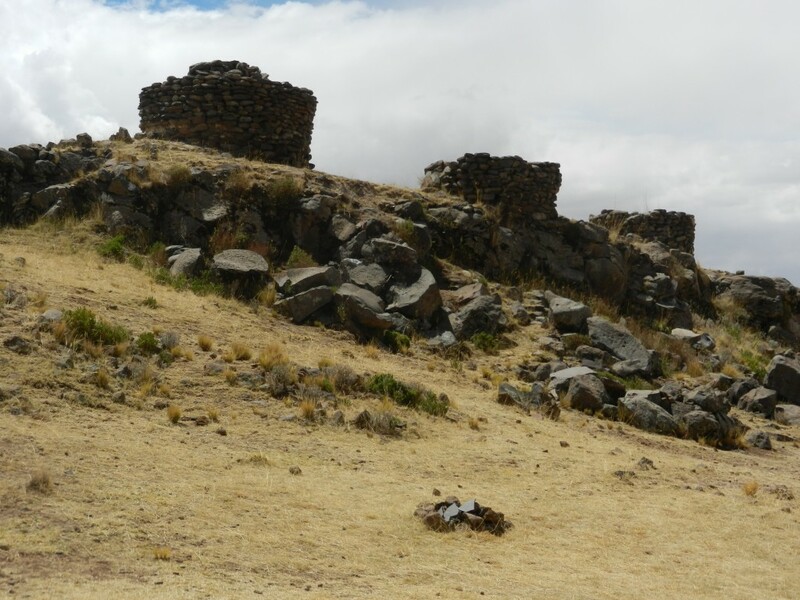 After a very nice short flight – kudos to LAN – we arrived in Juliaca and were met by Yoshiro who would guide us around Sillustani and then take us to our hotel. 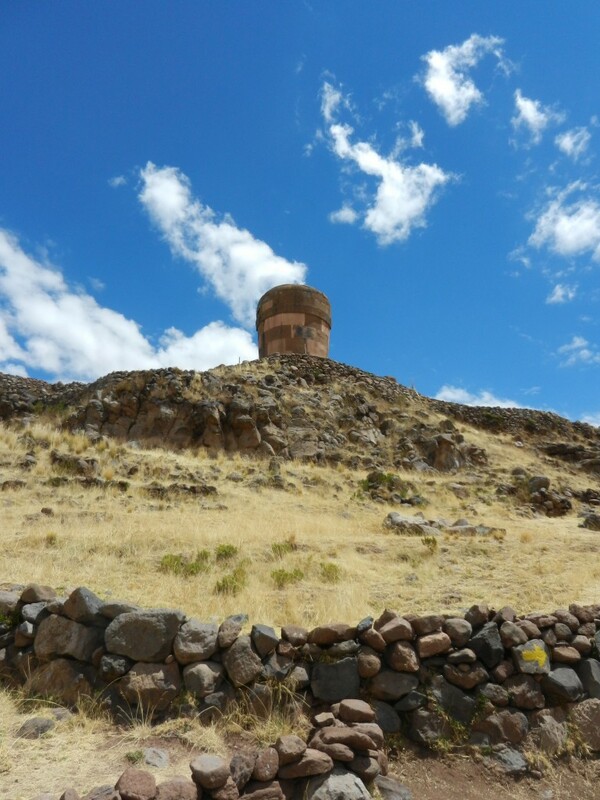 Sillustani towers – older style. Sillustani is an great burial site. It was used by two waves of pre-Inca civilisations and then by the Incas themselves. They all used the same basic structure of hollow circular towers with small East-facing doors. The only real difference was the overt quality of the stonework which got progressively better until the Spanish conquest brought the whole thing to an abrupt halt. The towers contained mummified bodies of important people as well as the remains of their servants who were killed so the important people would not be alone in the afterlife. The stone towers are in a lovely setting on a raised peninsula surrounded by a mysterious blue lake. The lake is mysterious because there are no rivers flowing into it. Behind it the altiplano, or high plain, stretches into the distance. Driving to Sillustani and then from there to Puno we saw alpaca and llamas, small farms being worked by hand (I saw people winnowing corn by throwing it into the breeze) and many traditionally-dressed women. The traditional dress is thick materials, an incongruously small bowler hat and a brightly coloured material carrying basket strapped to the back. The locals are understandably a bit unhappy about photos and I tried to respect that up to a point. The difficult part about today has been the altitude. We’ve gone from sea-level to 3,800m in the space of an hour and, surprise surprise, we’ve got altitude sickness. Equally unsurprising is that it has hit poor Cal the worst. So since arriving in Puno mid-afternoon we’ve been ensconced in our room groaning. I am really hoping that what I’ve read is accurate and it should pass within 24 hours. The positive side is that the boys now know what a bad hangover feels like because it’s remarkably similar – might be useful to remind them of in a few year’s time. Some people feel something on this spot. Spot where the Sun was reborn annually. The foreground stones is where accompanying servants were killed. I just opened flipboard app (on my iPad) and saw your name on geekdad I personally don’t think that 9 minutes of spongebob damages your Childs mind I will also listen to the geekdad podcast.